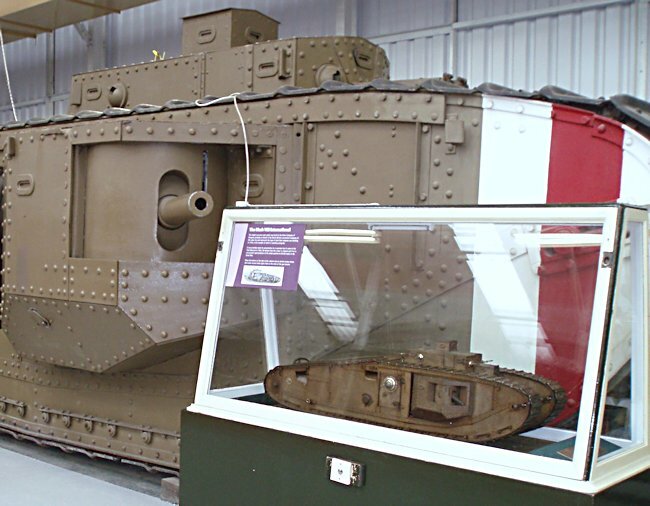 This WW1 British and American Army Mark VIII 'International' Tank can be found at the Tank Museum, Bovington, Dorest, BH20 6JG, England. Their website is tankmuseum.org. If the tank was immobilised on the battlefield, it instantly became a target for artillery. Many earlier tank designs burst into flames because of the lack of protection of the fuel tanks. 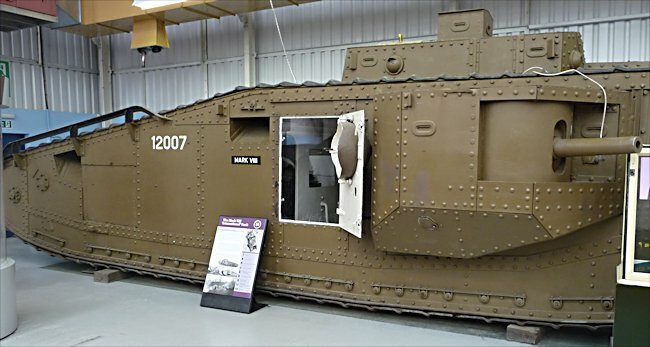 The tank designers of the Mark VIII tank added three 200 Imperial gallon armoured fuel tanks at the rear of the vehicle. They had listened to the concerns of the tank crews who demanded better protection. The fuel gave the tank range of 80km before having to be refuelled. 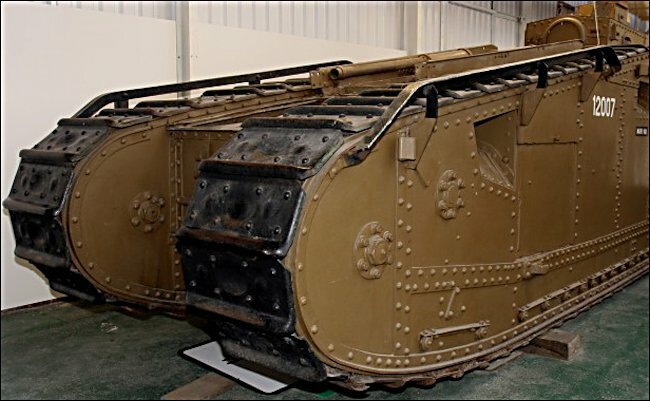 World War One ended before the Mark VIII tank could be properly tested battle conditions. The British army never allocated any of these tanks to operational tank unit in Europe. Out of the 125 tank Mark VIII that were made only three remain. They include the one you see the photographs on this page. 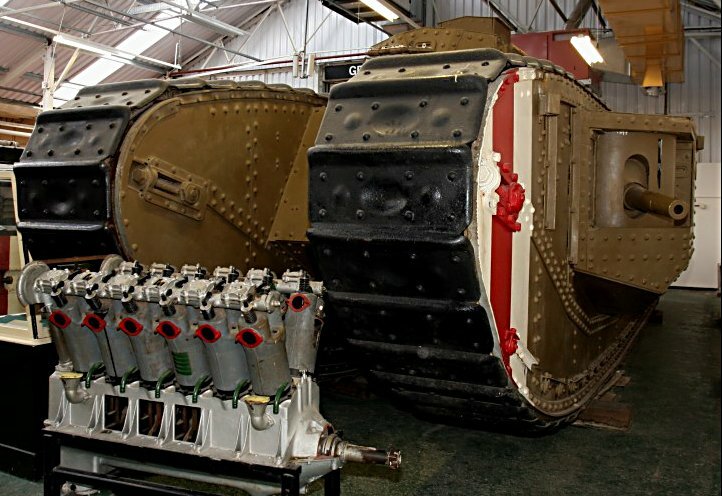 This is the Mark VIII back be seen at the Bovington Tank Museum in Dorset. Mark VIII 'Liberty' Tank being restored at the National Armor and Cavalry Museum, Fort Benning, GA, USA. 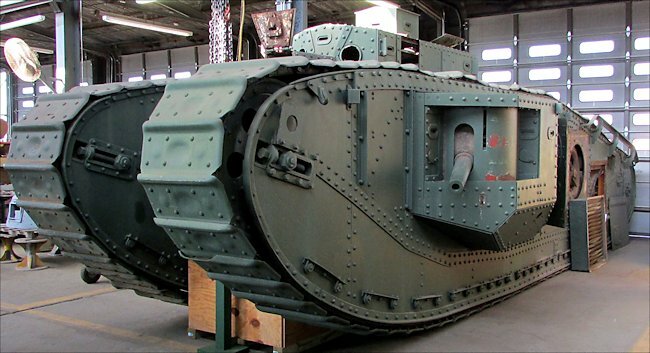 (Photo - Rob Cogan NACM) It was a joint project between US and Great Britain to mass produce a common heavy tank for planned "Grand Offensive" in 1919 before the Armistice. Crew of 10-12. Main armament of two QF 6 pdr cwt Hotchkiss Mk 2 (57mm) guns. Secondary armament of 5-7 machine guns.